We are offering Courier Bags to our client. Annual Turnover2011-12 Rs. 2-5 Crore Approx. Shree Balaji Poly Films, one of the leading Manufacturers, Exporters and Traders of this commendable range of Poly Films & Liners, began its operations in the year 2008. 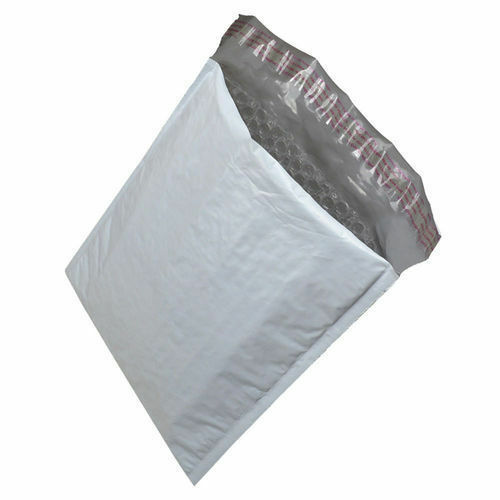 This highly impeccable and diverse range comprises the finest Shrink Film, Food Packaging Bags and much more which are highly acclaimed and asked for in the market. Making of this range is done as per the set industry norms and guidelines, using the finest raw materials and modern machines. This ensures the product’s standard of quality. Further, the offered range is priced at a market leading rate. We keep upgrading the highly developed state-of-the-art infrastructural facility at Shree Balaji Poly Films, on a regular basis, to maintain our reputation in the market and to boost our capacity to produce. The facility laced with all the machinery and equipment facilitates the attainment of several of the firm’s predefined targets. In order to manage the firm’s operations in the most efficient and effective manner, the facility has been parted into a number of highly operational units. Further, our abidance of industry ethics has helped us generate a huge and highly reputed client base.